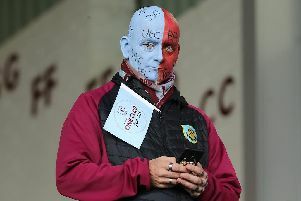 Clarets boss Sean Dyche was depicted as Leonidas, the King of Sparta, heading in to his 300th game in charge of the club. The milestone, an almost identical bookend to the 47-year-old’s inaugural game at the helm at Turf Moor, was Burnley’s Battle of Thermopylae, fictionally retold in the film “300”, and it was Dyche who marched his Spartans in to combat. Goals from Martin Paterson and Charlie Austin in that 2-0 win over Wolverhampton Wanderers on November 3, 2012, had signified the “Rise of an Empire”. On this occasion it was the Empire striking back. 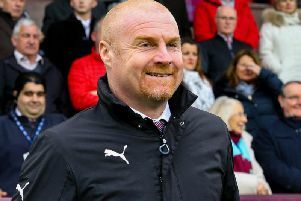 Dyche’s mantra on being appointed was “minimum requirement is maximum effort”, the necessity to see sweat on the shirt, and that still resonates hundreds of games down the line, only blood and tears are also remnants of hardened displays. The victory was typified by a dogged and determined defensive display and, fittingly, it was Ben Mee who stood tall and puffed out his chest to rally the troops. The 29-year-old centre back was the only player in the most recent matchday squad to feature in Dyche’s first and he was the first to put his body on the line on many occasions, with his team-mates following suit. No guts no glory, as the proverb goes. Fortunately the home side had it in abundance. Often they were overrun by Wolves’ technically gifted five-man midfield, they were tested by the frightening horsepower of Adama Traore time and time again but, to a man, they stuck to their task. Nuno Espírito Santo’s side had taken four points from Chelsea this season, beaten Tottenham Hotspur at Wembley and taken points off Manchester City, Manchester United and Arsenal. They’d toppled Liverpool and United to book their place in the semi-finals of the FA Cup but their road to Wembley, where they will take on Watford, started with just one shot on target. This was the Burnley that Dyche has built over his 300 games in charge. Organised, working in unison, pressing, hunting for the ball in packs. The enemy’s threat was negated. Conor Coady’s third own goal of the campaign inside 90 seconds was exactly what was needed. The visiting skipper fell victim to a cruel ricochet off the post after Chris Wood had rounded Rui Patricio from Dwight McNeil’s set-piece straight from the training ground. Had Johann Berg Gudmundsson been given the opportunity to go through and open the scoring against Leicester City before the international break then the outcome may have been very similar to this. Instead, Harry Maguire’s dismissal possibly backfired in many respects. The Foxes camped in, afforded the Clarets the lion’s share of possession and challenged them to try and break them down. That’s not what Burnley do. Against Wolves they showed their effectiveness without the ball, as they had done in games against Spurs, Brighton and United at Old Trafford. Diogo Jota tried to deceive Tom Heaton by whipping the ball towards the far corner in the second half after cutting back on to his right boot from Traore’s counter. And as they continued to breach enemy lines, Ivan Cavaleiro should have done better than finding the stands from Leander Dendoncker’s pull back after the Belgian international had infiltrated Burnley’s left-hand side. The away side’s authority coerced the Clarets in to dropping their banks deeper but they refused to be intimidated, even when Nuno threw on leading scorer Raul Jimenez alongside Matt Doherty and Helder Costa. James Tarkowski’s block from Jota was probably the pick of the bunch when Phil Bardsley’s clearance from Traore’s delivery had landed fortuitously. Then Jonny registered Wolves’ only shot on target that afternoon, though the defender’s header was never beating Heaton despite the England international’s dramatics. Every film has its hero, the protagonist that shines through to save the day when the going gets tough. McNeil had endured one of his toughest afternoons in the Premier League, and may have been the player sacrificed had Willy Boly allowed the ball to run out of play. However, the 19-year-old tore up the script. The ball was just inches from the touchline when the French defender cleared his lines following a period of keep ball from the Clarets. Tarkowski won the header from Jimenez before McNeil, fresh from a week with England’s Under-20s, played his role perfectly. A clever feint manufactured the aperture between Romain Saiss and Coady and the teenager lashed the ball in to the far corner from just inside the penalty area. Patricio barely moved. That moment, which lifted the Clarets five points clear of Cardiff City at the bottom end of the table, provided the perfect symmetry to Dyche’s first game in charge as his tenure came full circle with a 2-0 win against Wolves.